Raised on myths instead of fairy tales, this is probably the only country in the world where Little Red Riding Hood is eclipsed by another fictional female character: the Goddess Athena. Looming large in people’s imaginations, she was believed to have won a contest against Poseidon for the patronage of the city, by bestowing upon its people the perfect gift: an olive tree, a source of olives for sustenance; a source of oil to bring light to the darkness; and a source of wood to build ships and houses with. The olive tree has since become a symbol of peace and prosperity and the Goddess Athena, recast and remolded to fit the changing times, the most enduring deity in ancient Greek religious worship. But if we want to be brutally honest we still don’t know which of the two words was derived from the other: Athena the Goddess or Athenai the city. What we do know is that the Acropolis, Greece’s most emblematic monument, was largely a testament to the power she held over the ancient world. 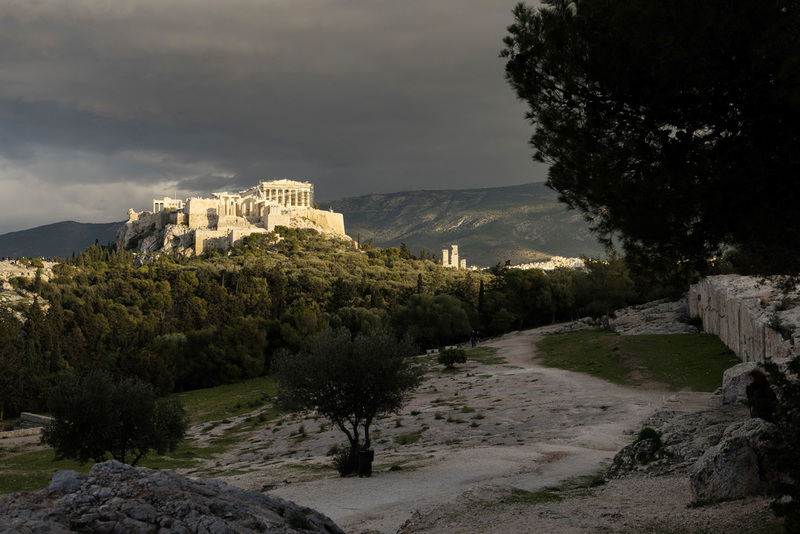 Built atop a flat rock, rising 150m (490 ft) above sea level and covering a surface area of about 7.4 acres, the Acropolis still holds many secrets. First there was the “Old temple” and the Hekatompedos in the mid-6th Century BC, both (naturally) dedicated to Athena. Then there was the pre-Parthenon, partially erected when the Athenians defeated the Persians at Marathon, in 490 BC. But it wasn’t until the mid-5th Century BC, when the Acropolis became the seat of the Athenian League, that things got serious. Enter Pericles, a charismatic leader with a progressive vision, whose leadership transformed Athens into the educational and cultural center of the ancient Greek world. 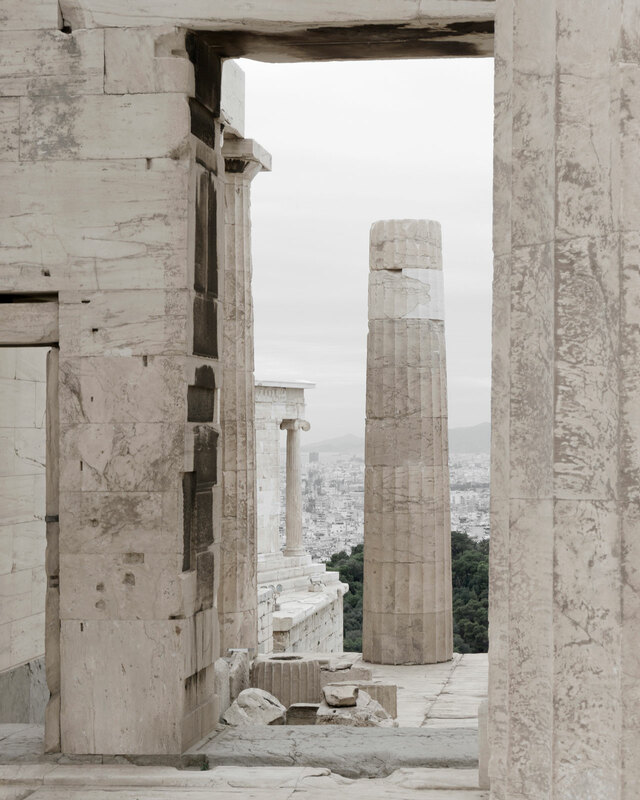 His ambitious building program, which yielded most of the surviving structures on the Acropolis, wasn’t just meant to glorify and protect the city: it was meant to give people work! 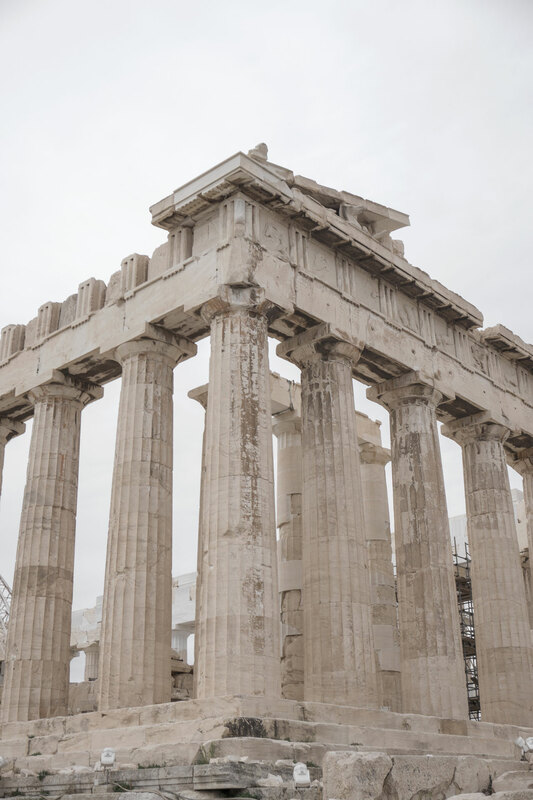 The construction of the Parthenon, the Propylaia, the Erechtheion and the temple of Athena Nike, lasted the entire second half of the 5th Century BC and created countless jobs for Athenians and foreigners alike, who made a salary of one drachma a day. 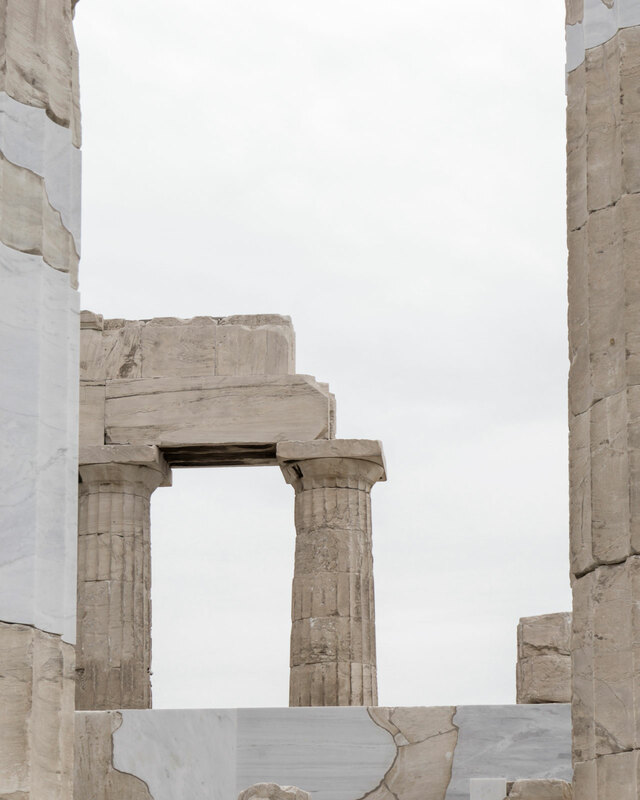 The Parthenon, a perfect architectural expression of the Greek spirit, was designed by Iktinos and Kallikrates, while Pheidias, a sculptor and close friend of Pericles, supervised the construction. Dedicated to Athena Parthenos, the virgin patron of the city, it is one of the largest Doric temples of Classical antiquity and the crown jewel of the Acropolis complex. The inspired proportions, innovative architectural elements and intricate reliefs fell harmoniously into place, incorporating the history of an entire nation, all the way from myth to democracy. The temple housed a chryselephantine statue of Athena - a mammoth likeness covered in ivory and gold - made by Pheidias himself. This precious centerpiece disappeared in the depths of history, never to be recovered, and the Parthenon eventually came to symbolize the people who built it, rather than the gods they worshiped. Today, Pheidias’ genius can best be admired in the Parthenon’s frieze, depicting the Gigantomachy, the Amazonomachy, the Centauromachy and the Trojan War, where the Greeks triumphed every time. The rest of the surviving elements of the magnificent Acropolis complex consist of the Propylaia, a monumental gateway that serves as the entrance, the Erechtheion, an Ionic temple that saw the two dueling Gods, Poseidon and Athena, worshipped under the same roof, the diminutive temple of Athena Nike, the Sanctuary of Artemis Brauronia and the Beule Gate. 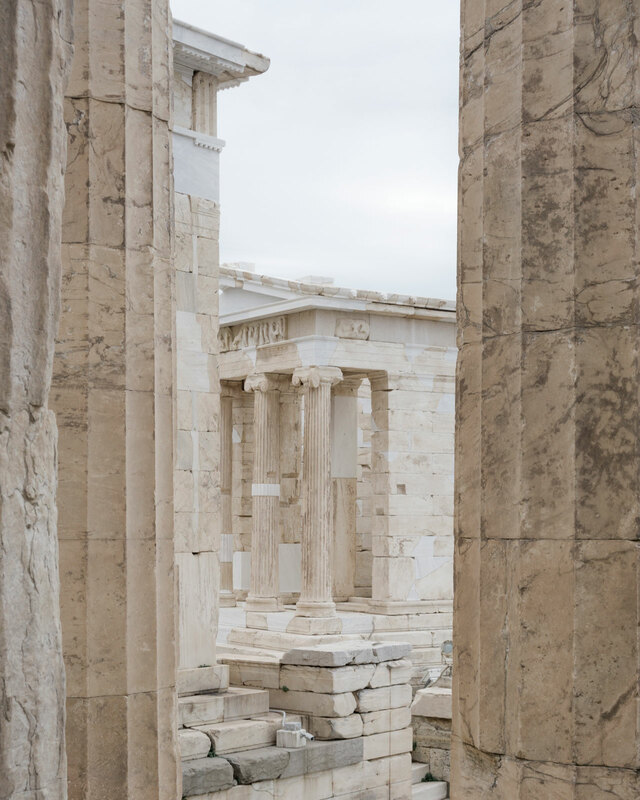 The famous porch of the Caryatids –one of which was pilfered by Lord Elgin, along with half the surviving sculptural decoration of the Parthenon – forms part of the Erechteion, where the Panathenaea, a festival that rivaled the Olympic Games in popularity, culminated every year. The Acropolis was a breeding ground for cults celebrating Athena in her many shapes and forms: as Polias (patron of the city), Parthenos (virgin goddess), Pallas (goddess of wisdom), Promachos (goddess of war), Ergane (goddess of manual labour) and Nike (Victory). But its most enduring quality is the simple fact it embodiment ideas that have survived the course of history and are still instrumental in our lives today. In other words, the Acropolis of Athens equals Democracy.